Cryp Trade Capital Review | Is Cryp Trade Capital A SCAM? Bitcoin Bank Cycler Review – Good Opportunity Or Big SCAM? 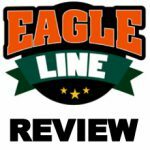 Welcome to the Eagle Line Cycler Review! 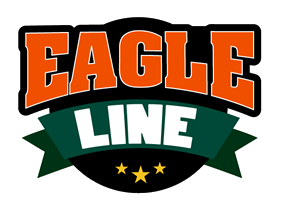 If you’re active on social media, then you may have heard about something called Eagle Line Cycler quite lately. This is a gifting scheme that promises to earn you loads of money by referring people online. Even though people on social media seem to be praising the potential of this system, the probability of anyone becoming rich still seems unclear at this point. So, is the Eagle Line Cycler a scam? Or is it just a program that takes an enormous amount of effort before it finally shows results? Also, feel free to take a serious look at affiliate marketing if you are looking for a legitimate way to profit online. It’s PROVEN effective & FREE to get started! One shady aspect of this business that’s hard to ignore is the lack of information available on their official site. Not only is there no trace of the company origins, but details of the owner also seems to be absent. However, it took only a few minutes of digging around to find out that a person named Bertrand Aballo is the owner of the company. Moreover, I also found that the domain was registered in Benin, West Africa, on 22 February 2017. There is also an official Facebook group for Eagle Line Cycler, where the owner is one of the admins. I found a bunch of other additional details that are not entirely relevant to the topic at hand. However, it’s important to note that Bertrand Aballo was running a business named Eagle Team last year, which I believe is the predecessor of the current program. Further inquiry has led us to believe that it is currently non-existent for whatever reason there may be. Eagle Line Cycler – What are the products offered? I found it astonishing that Eagle Line Cycler doesn’t offer any product or service to sell and relies entirely on affiliates to do their bidding. While this isn’t entirely uncommon, I’d have to admit that it doesn’t do the company any favors in establishing their reputation. At the end of the day, a business has to offer some sort of product or service to appear legit in front of the public. The lack of a product line earns this MLM Company one more negative point. While it would be wrong to say that I am confident that they are running something shady in the background, I’d advise you to proceed with caution. How much do you think you can earn from being an affiliate to this scheme? Well, the affiliates earn money by gifting 0.0025 BTC to another person through the 2X1 matrix scheme, based on which the company is operating. · After this payment has been sent off, the affiliate that gifted it is subsequently granted access to a brand new matrix position. · With this matrix, the affiliate is subsequently able enough to recruit two other members and earn present payments from every one of them that are valued at 0.0025 BTC each. · These places could be filled either by brand new members or people who are already affiliates and looking to enter in a matrix system once more, and the total payout for every cycle which you complete is 0.005 BTC. · Along with this, Eagle Line Cycler pays a bonus 50% recruitment commission if you recruit any members to the company. Once you’ve finished a cycle, you are able to elect to open up a brand new matrix by throwing in a different payment of 0.0025 BTC. You can be a part of Eagle Line Cycler by making a one-time payment of 0.005 BTC, after which you’ll need to purchase at least one matrix position by paying up 0.0025 BTC. You have the option to open up new matrixes by paying 0.0025 BTC for each subsequent opening. The whole membership process is quite simple really, and it shouldn’t take you long to get the hang of things. 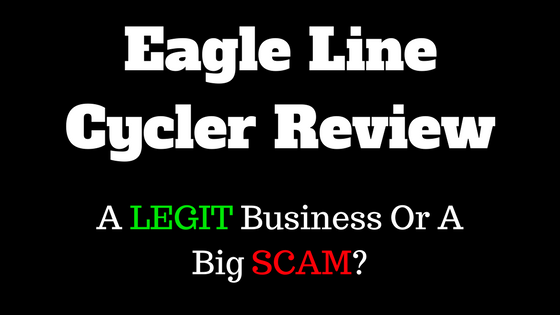 Eagle Line Cycler – is it legit or scam? From all the information I’ve gathered so far, I’d be more inclined to say that the system is a fraud. Sure, some people are definitely making money or else why would others join to get a slice of the pie? The fact that there is no product or service to sell makes it painfully obvious that anyone who gets involved (and knowingly) will face a lot of risks. Thank you for taking your time to read my Eagle Line Cycler Review. I hope that you found all the information which you were looking for. If you have any questions or would like to leave a comment, feel free to do so below. You can’t afford to NOT watch it because it will take finally get you earning real online profits – provided that you follow the steps.